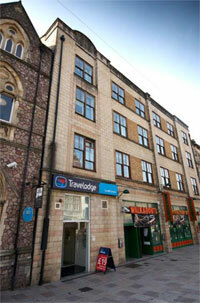 Located next to Cardiff Central Train Station in the practical Riverside area, the Travelodge offers some of the cheapest rooms in the city. Walkabout Pub is beneath the hotel. The Travelodge provides budget accommodation for trips to the Millennium Stadium and for away games against the bluebirds at the famous City Stadium. Whilst the rooms themselves are pretty basic there are few hotels more practically located for the Central Rail Station just two minutes around the corner off Central Square and the Arms Park — home to the Cardiff Blues, the city’s leading Rugby Union team. So if you need a no-fuss option for weekend or midweek stopovers Travelodge continue to make a great deal of sense, especially when they come with an onsite bar café like this one. Because it is located at the centre of the city's lively nightlife district, guests need to bear in mind that some of the liveliness occasionally spills over into the rooms, especially at weekends, but some adequate soundproofing tends to reduce the impact on sleep.